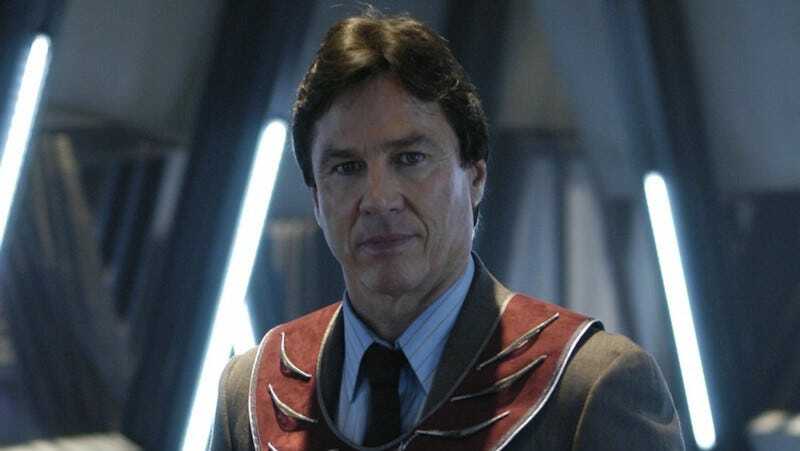 Richard Hatch, who managed to star in two Battlestar Galacticas, has passed away. He was 71. The news broke on Bleeding Cool and was confirmed by TMZ. When I first got the original Battlestar script, I didn’t even want to do it. But the stupid part of it was, looking at the script with all the Ralph McQuarrie art, and seeing the character flying through the universe in one of those Vipers, the little boy in me wanting to fly through the stars ultimately said yes. When we watched the original Star Wars, didn’t we all fall in love with getting in those X-Wings? So when it comes down to it, it’s the little kid in us that usually wins out. Hatch clearly felt deeply attached to that show. Even though it only lasted one season, Hatch tried to continue the show for years. In the late 1990s, Hatch made a 30-minute Battlestar Galactica movie called The Second Coming, and traveled with a trailer to drum up fan support and to convince Universal that a revival was viable. He continued to write novels in the original BSG universe. And even though bringing back the original Battlestar Galactica universe and telling more stories there was always his goal, he managed to get over his disappointment in the existence of a reboot—which led to him playing Tom Zarek in the rebooted show. Instead of an unambiguous good guy pilot, Zarek was a convicted terrorist who emerged as a political foil for President Roslin throughout the show. Hatch played Zarek as smart, formidable, and very twisty.